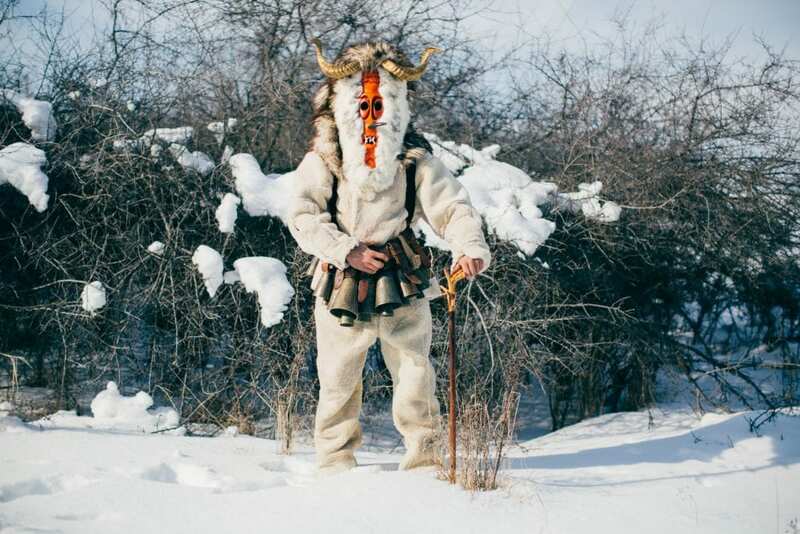 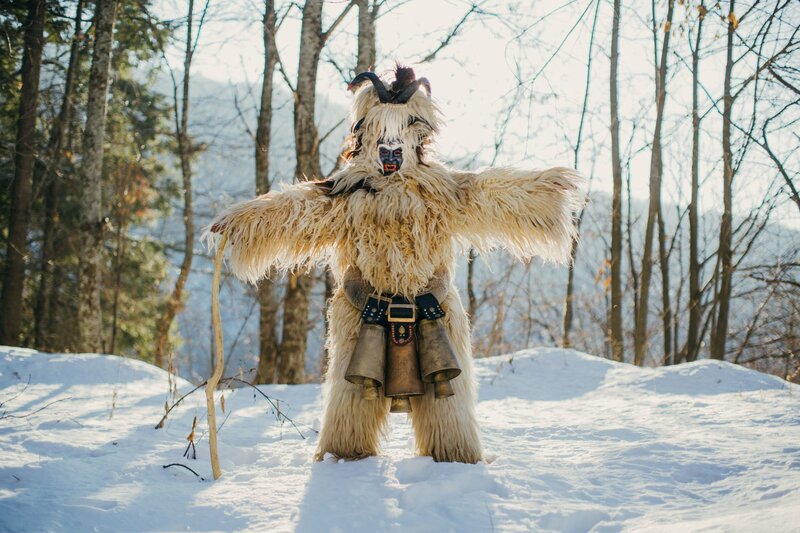 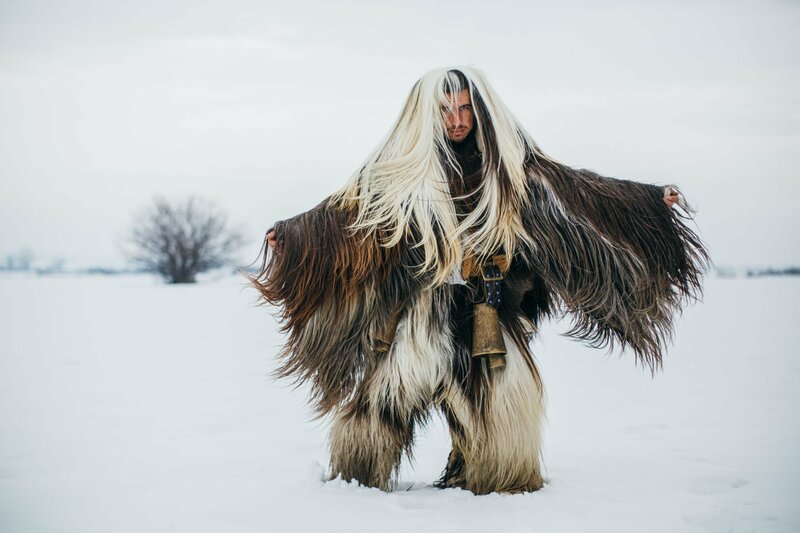 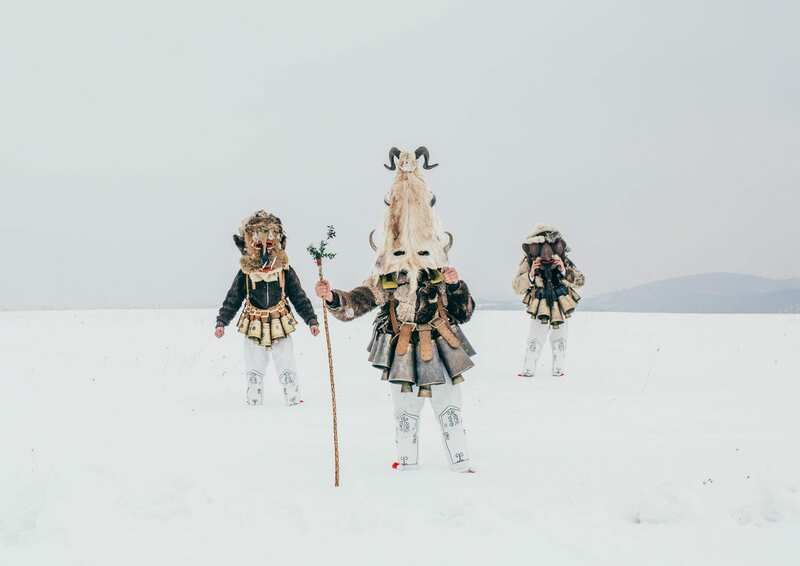 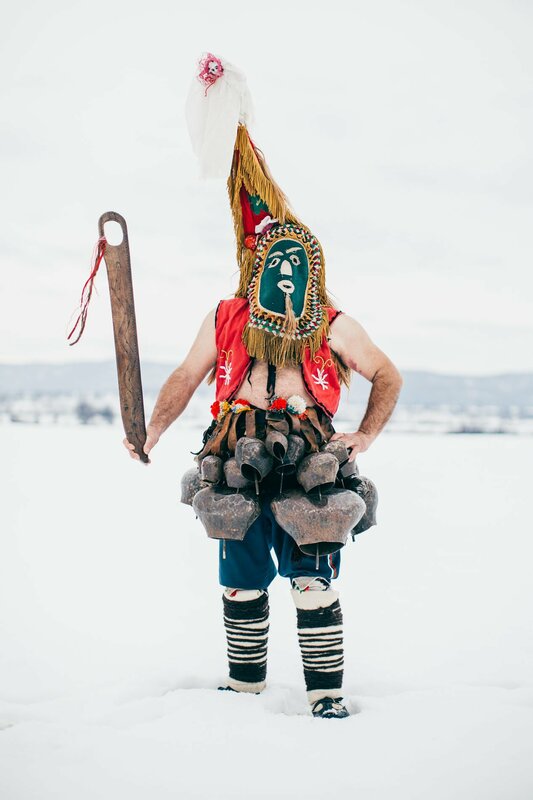 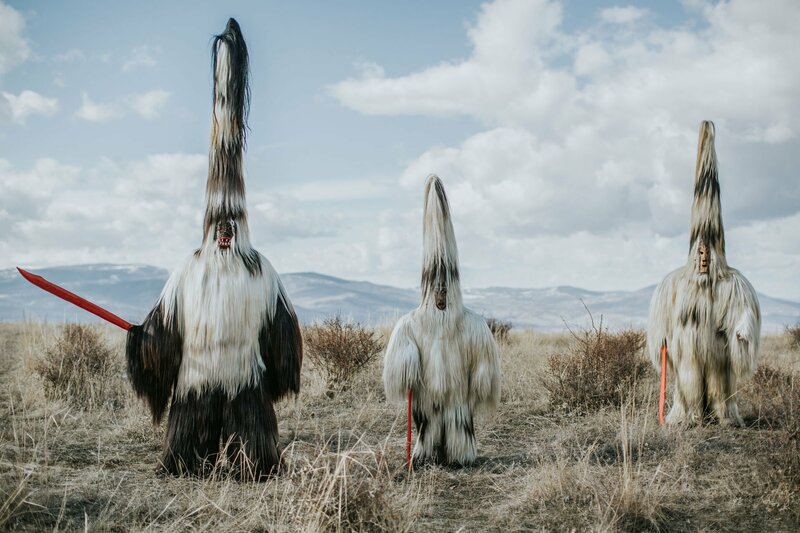 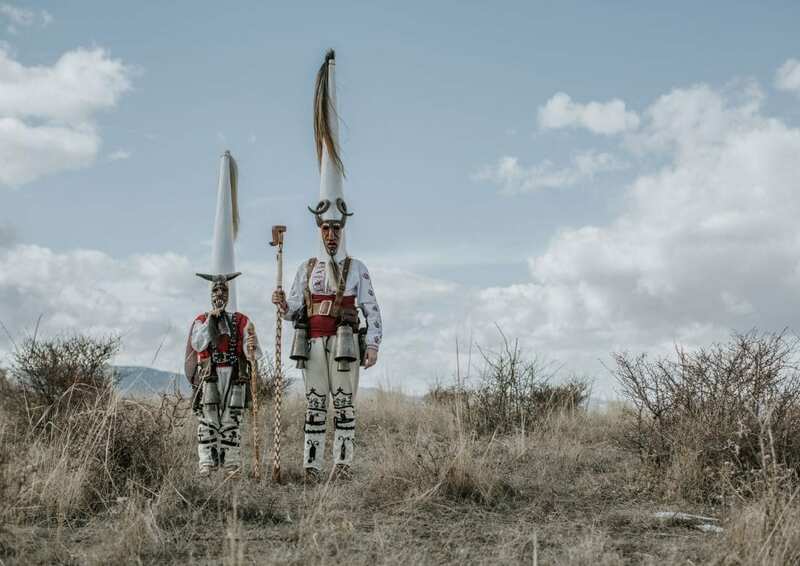 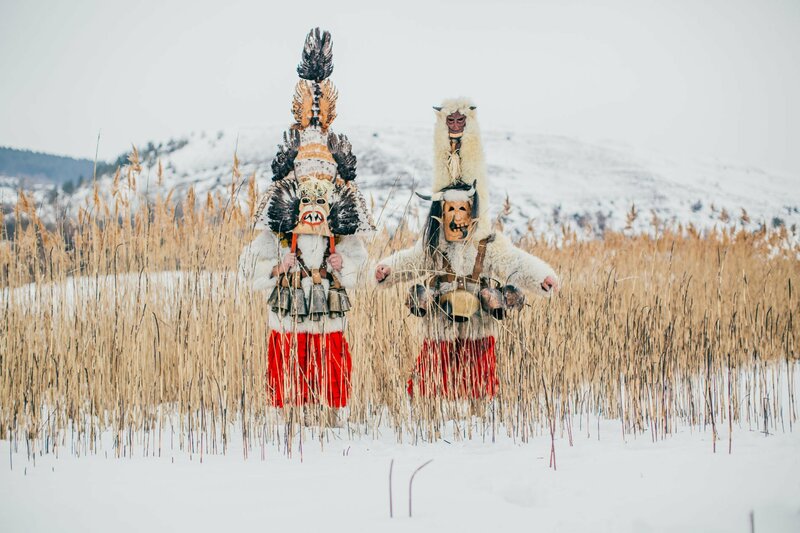 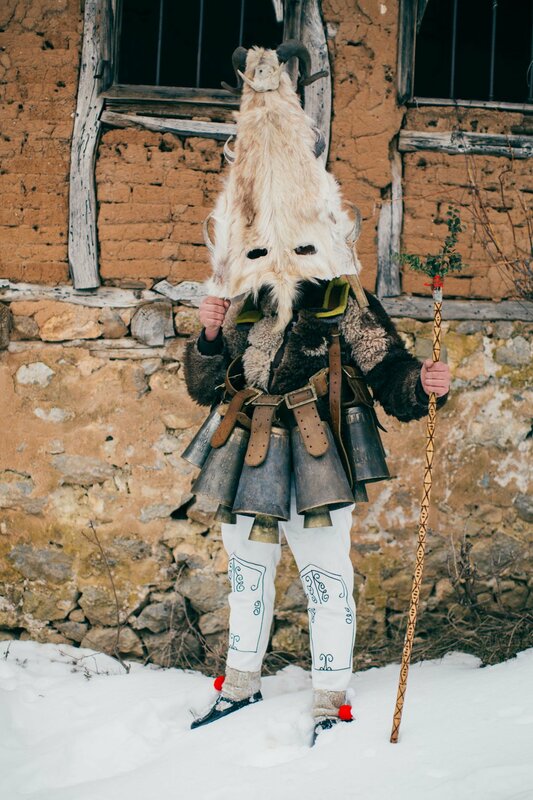 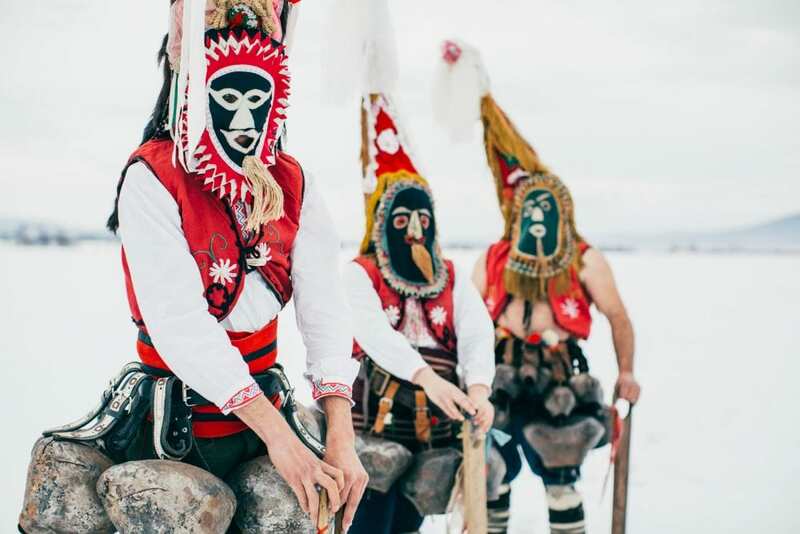 “Kukeri” is an ancient pagan ritual practiced annually across the Balkan mountain regions where local men wear carved wooden masks of beasts’ faces and hang heavy bells around their waists as they perform arcane dances. 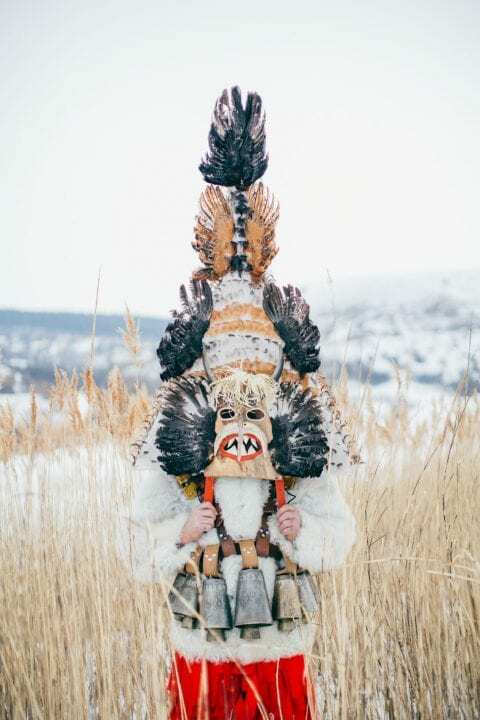 The word ‘kuker’ comes from Latin (‘cuculla,’ meaning a ‘hood’) and it denotes a folkloric monster, a man dressed in an elaborate suit of fur. These figures are intended to dispel evil spirits and protect their community from ill fortune. 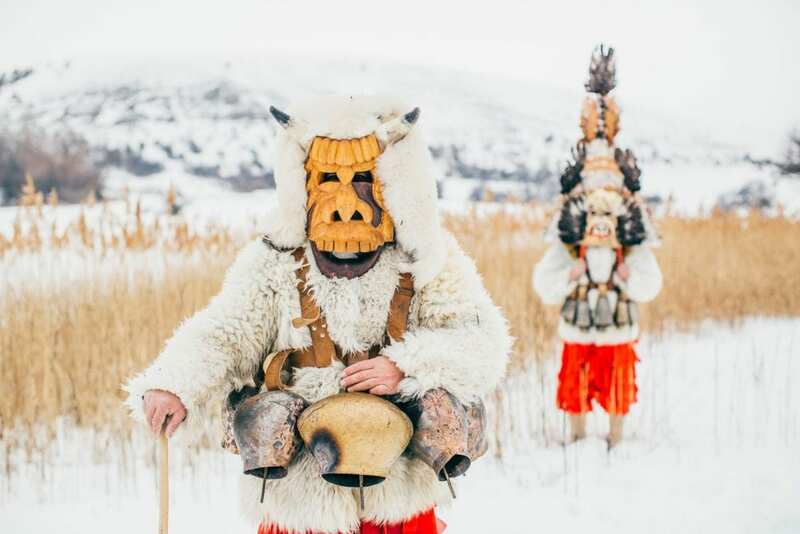 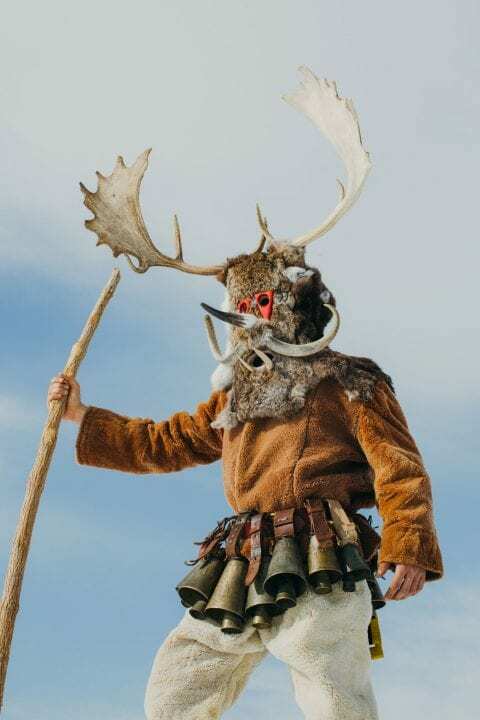 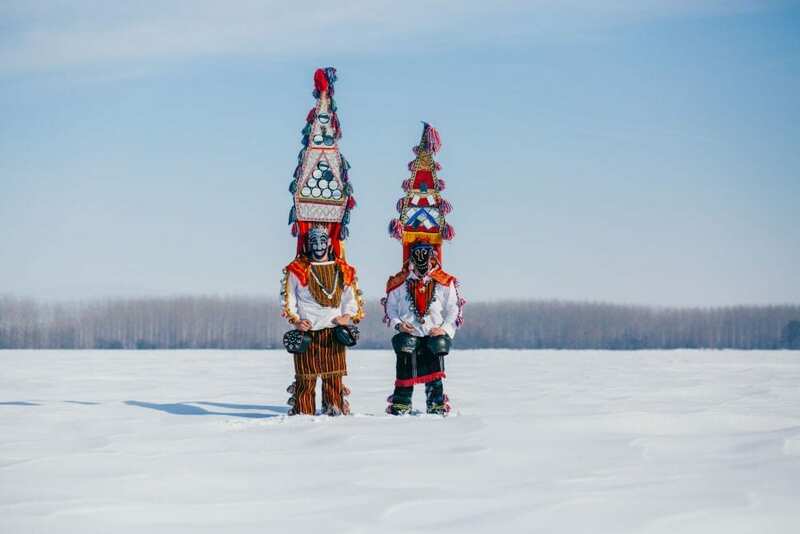 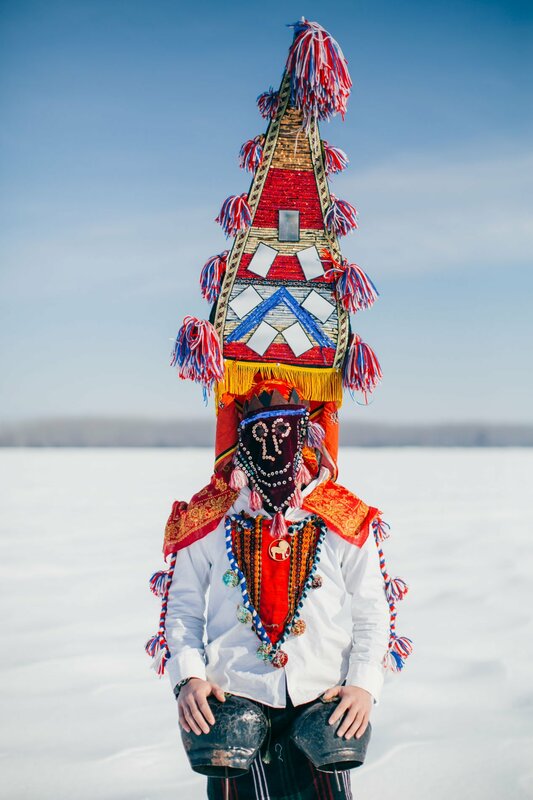 The decorated costumes worn by some of the locals blur the distinction between animals and humans, which highlights the deep connection that this culture maintains with its natural habitat.